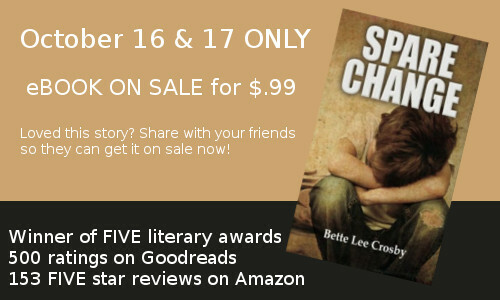 …to my new followers and those who may not have already read Spare Change, Bent Pine Publishing is doing this once-a-year sale on the book that has won five Literary Awards and become a Bestselling Reader Favorite. Grab it now, because book 2 in the Wyattsville Series is waiting in the wings. Enjoy! I just bought it from Amazon last week but appreciate you letting me know. I just picked it up for my nook today. thanks so much for the invite, I can’t wait to read it.